Karma Deleg Chö Phel Ling is a study and meditation centre in the Tibetan Buddhist tradition. The centre is situated just outside the small village of Hantum in the very North of the Netherlands. 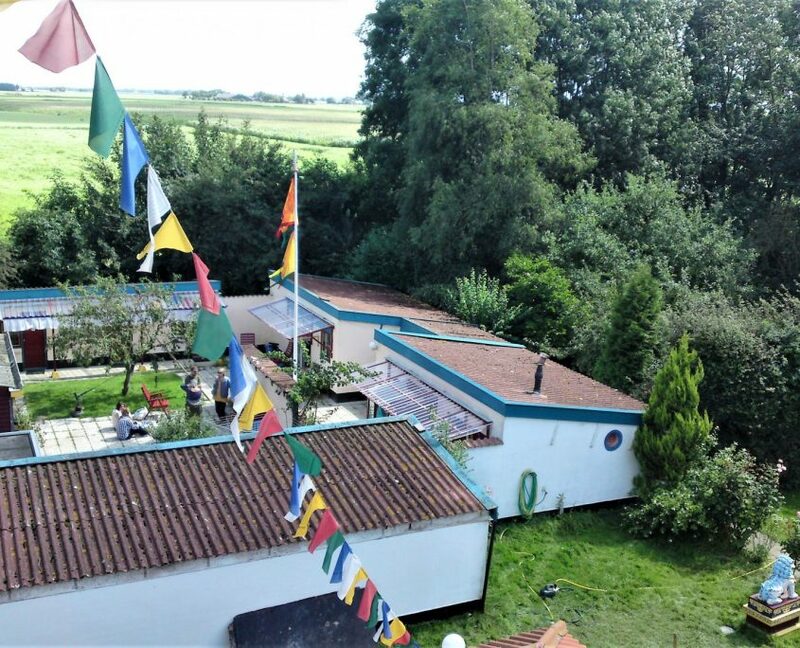 A little Tibet arises in the Frisian landscape among the meadows, windmills and waters. A serene atmosphere of waving prayer flags, singing birds and rustling leaves. The Buddhist centre has the intention to support the development of compassion, wellbeing and the happiness of all sentient beings. There are daily recitations in the temple and there are regularly teachings and workshops organised. The centre also offers the facilities and care for individuals seeking a retreat place. Karma Deleg Chö Phel Ling is open for everyone, of all religions and beliefs, who feel a need for inner peace, contemplation and wish to contribute to the intention of the centre. The centre is grateful for the many volunteers and sponsors that make it possible.